Hello fellow avid readers! 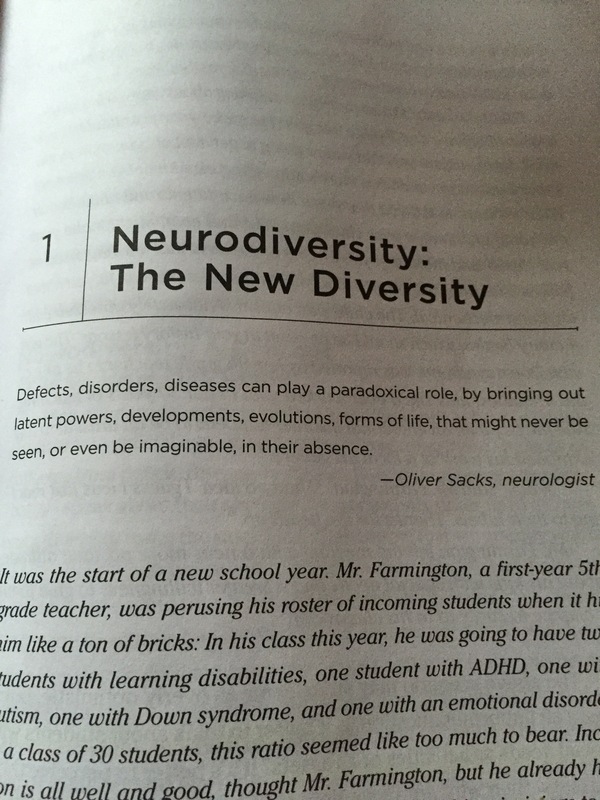 A few weeks ago we finished up Differentiation in Practice and this week, I’d like to begin Neurodiversity in the Classroom by Thomas Armstrong. I began reading this book when it was given to our staff by our principal, as well as the staff of a fellow congregated school which deals with students with behaviour issues rather than learning disabilities. I have to say, after reading the first chapter, I’m already hooked! What started out as “homework” has become a book I am thoroughly convinced could become the basis of all my future teaching practices. The first chapter is basically just and introduction to the rest of the book. It discusses how students who struggle in the classroom, particularly with various learning challenges are always labelled “disabled” and we, as educators, try to find ways in which to conform them to the typical classroom (loads of medication, much?) rather than looking at the positives of their differences (neurodiversities) and moulding our lessons and classrooms around what they need. The largest concept in which the chapter focuses on is that we need to focus on student strengths rather than their deficits. Indeed, who gets to decide what is a deficit in the first place? Who decides what is normal and what is not? Indeed, I know this is only the introduction and many points made are “common sense”. 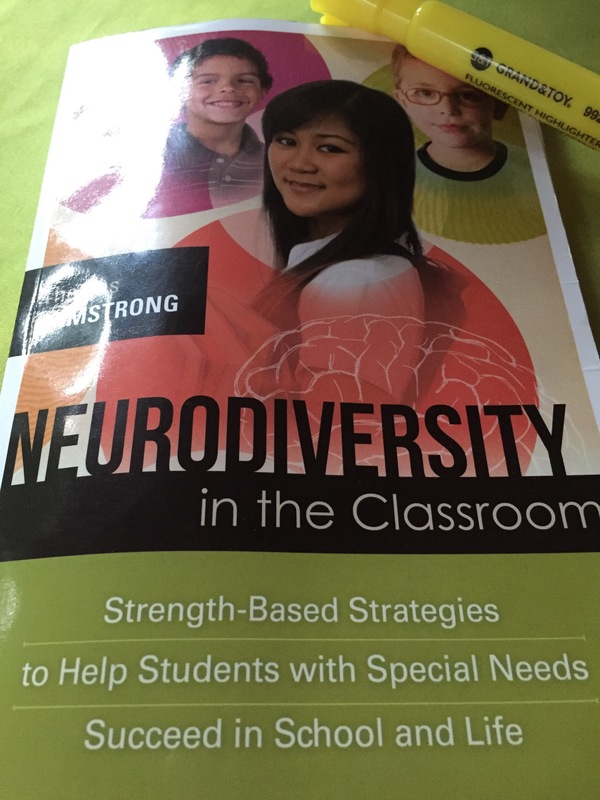 However, as I previously stated, I believe this will be a book that I will use for the rest of my career to guide my practice as it delves deeper into ways in which to engage students with various neurodiversities. If you are interested in the book, here is the link to it on Amazon. 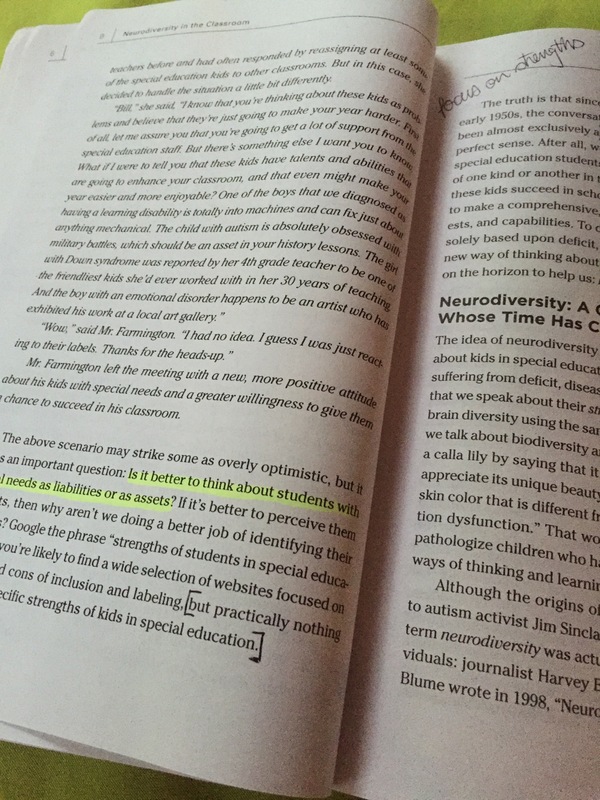 Chapter two discusses learning disabilities; stay tuned!